Iranian Atomic chief announces new mine containing far more ore than Western analysts expected before negotiating deal. The head of the Iranian Atomic Energy Organization claims that his country has discovered a surprisingly large amount of uranium in a new mine. 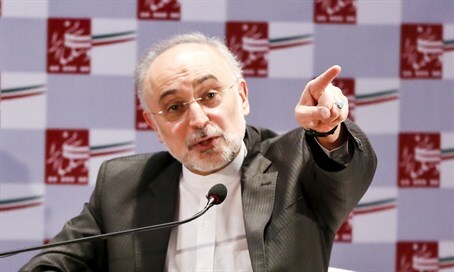 Ali Akbar Salehi told official news agency IRNA that "I cannot announce [the amount of] Iran's uranium mine reserves. The important thing is that before aerial prospecting for uranium ores we were not too optimistic, but the new discoveries have made us confident about our reserves." Western analysts are expressing concern over the new find. During the negotiations that led to the recent nuclear deal, many argued that the Islamic Republic would not be able to develop weapons without importing radioactive material. In particular, an influential paper put out by the Carnegie Endowment and the Federation of American Scientists claimed that domestic uranium is rare and of low quality, forcing Iran "to rely on external sources of natural and processed uranium." Should this new mine prove to contain enough high-quality ore, Iran could be significantly closer to producing either nuclear energy or nuclear weapons. Furthermore, it will be able to work the mine together with leading international firms once the nuclear agreement is implemented and the sanctions are lifted. Iran has already successfully carried out a complete nuclear fuel cycle, meaning that it has proven its ability to turn uranium ore into fuel rods for use in nuclear reactors.